Following years of appeals, a Utah man sentenced to death for a 1985 murder is set to get a new hearing after the main witnesses in the case—who vanished into thin air after his conviction—resurfaced after 25 years to allege that investigators threatened them with deportation and paid them to lie in their testimony. In 1985, Douglas Stewart Carter was convicted for the brutal murder of Eva Olesen even though there wasn’t a shred of physical evidence linking him to the crime. Stewart’s death sentence mainly relied on a confession that he alleges was coerced (in the confession, Carter didn’t even know the basic details of the murder). But the nail in Carter’s coffin was the testimony of Epifanio and Lucia Tovar. After Olesen’s murder, authorities arrested Carter at the Nashville home of JoAnn Robins. As investigators interrogated him over two days, his story never changed. And each time, he would ask about Ms. Robins. The police eventually told him that she was arrested and charged as an accomplice (she wasn’t). After two days of interrogation, an officer from Provo, Utah, where the crime was committed, arrived in Nashville to talk to Carter about the murder. Within 30 minutes, the officer somehow got Carter to confess to the murder. Carter didn’t just insist that his police confession was coerced, he maintained that parts of it were fake. In fact, in every police interview, Carter consistently told the same story. Carter testified that his confession was coerced because the officer told him that he would let Ms. Robins go if Carter admitted to killing Olesen. For all intents and purposes, he had just confessed to murder. Carter’s confession was typed up and signed. He would eventually stand trial. The typed transcript, which Carter said was inaccurate, would be an ongoing source of dispute. Of course, Carter could have easily proven it was false, because his alleged confession was also recorded on audio tape. But curiously, sometime between his arrest and trial, the tape vanished into thin air. But there was another confession. According to court documents, the Tovars testified that Carter had admitted to them that he killed Olesen. Mr. Tovar testified that Carter had stabbed Olesen while, Ms. Tovar testified through a translator, that Carter had acted out a shooting. Somehow, the Tovars knew all of the details, including the victim’s menstrual cycle (which played a large part in the case). Mr. Tovar also testified that he was the one who disposed of the gun used in the trial, at Mr. Carter’s request. Both testified that Carter “laughed and giggled” when he described how he committed the murder. And in their testimony, the Tovars also told the court that they had only received $14 in exchange for their testimony—the typical witness fee. So even though neither Carter’s fingerprints, DNA nor blood was found at the scene, and none of the victim’s blood, DNA or fingerprints were found on anything Carter owned, Carter was convicted by a jury and sentenced to die almost solely on the word of the Tovars and a transcript of the disappearing confession tapes. And then, as soon as the trial was over, the Tovars vanished into thin air, too. 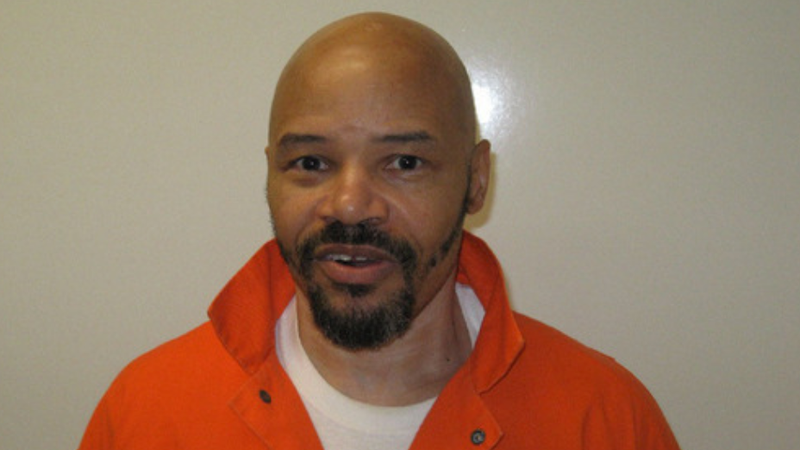 In 1992, after a successful appeal, Carter was granted a resentencing hearing. Because the Tovars had supposedly fled the country, prosecutors simply read a transcript of their testimony from the previous trial. Once again, Carter was sentenced to death row. The Tovars’ claims of financial support are at least partially corroborated in two declarations from former members of the Provo Police Department who worked on the Olesen case. Officer Richard Mack declared that it was his responsibility to keep the Tovars happy and that he recalls bringing them groceries, Christmas gifts, and toys for their son. While Officer Mack does not recall giving the Tovars money for rent, he could not definitively say that he did not give them money for rent at some point. Officer Mack also noted that the police did make cash payments to witnesses in certain cases such as narcotics cases. Officer Stan Eggen also declared that, although he was not privy to the specifics of what was done for the Tovars, he does remember that the department assisted the Tovars once they were identified as witnesses. “With these damning revelations in hand, Carter’s counsel filed a petition for post-conviction relief, which the State responded to with a motion for summary judgment,” wrote Utah Supreme Court Justice Constandinos Himonas. Carter is one of eight prisoners on death row in Utah, all of whom have pending appeals.